DC Comics unveils roster of upcoming animated movies based on including "Batman Hush"
WB took to Comic-Con to tease the coming of a roster of DC animated projects set for release throughout the year of 2019, and the team will be looking to bring to screen classic comic content including Batman Hush. Reign of the Supermen (2019): This animation will be the second part to the Death of Superman an focuses on what happens after Superman’s death featuring the characters Steel, Eradicator, Cyborg Superman and Conner Kent Superboy. The closing credits for the Death of Superman feature a Reign of the Supermen teaser. Batman Hush (Summer 2019): based on Jeph Loeb and Jim Lee’s storyline from Batman #608. 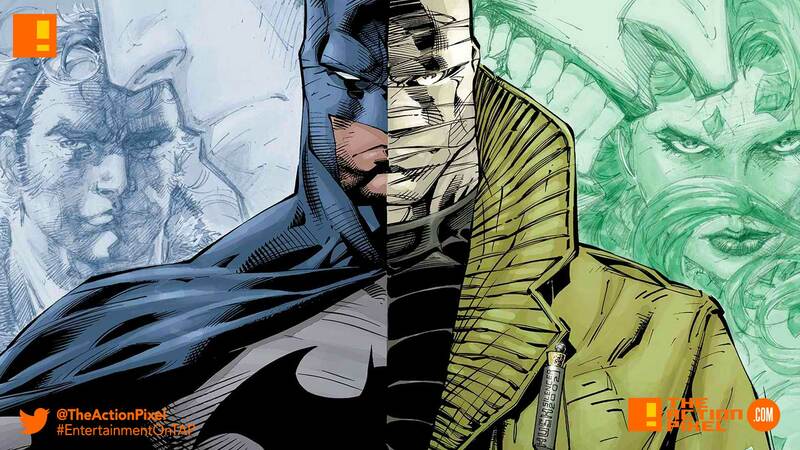 The Batman Hush movie will be set in the present day in a much more familiar Gotham City. The comic storyline featured popular Batman villains like Poison Ivy, Ra’s al Ghul and the Joker, but it’s also well known for introducing the villain it’s named after—the bandage-faced Hush. Wonder Woman: Bloodlines, the fourth animated movie set for 2019, not much is known about the project at this time with the teaser below featuring Amazons on pegasus horses and a destroyed Greek city or wuite possibly Themyiscara, the home of the Amazons and Wonder Woman.